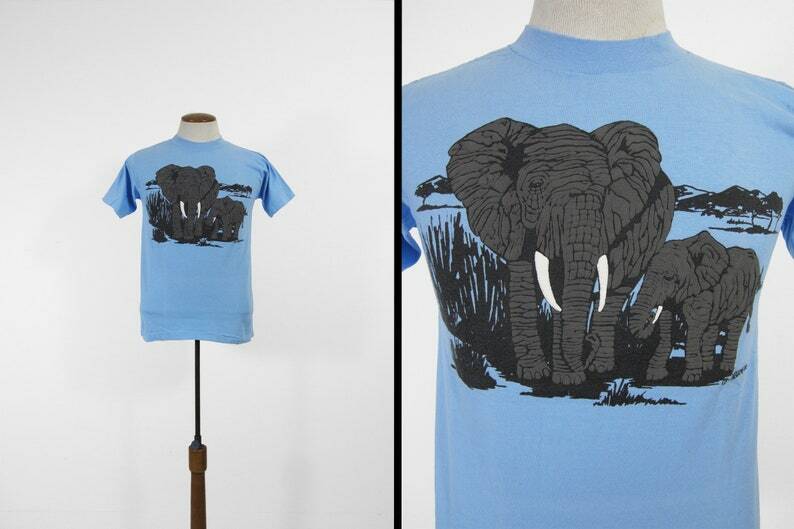 This sky blue t-shirt dates back to the 1980s and came directly from the old stock of the Lake George Zoo gift shop. It has a textured elephant graphic on the front and is in excellent condition. Made in USA. Your shirt will be either Hanes or Oneita Power T.
This t-shirt is labeled as a size large but please compare the measurements below to your favorite t-shirt, laid flat, before purchasing.